Writer: national newspaper; author; website: writer/producer; lecturer. Social historian of women's horticultural history, houseplants and flower arranging. 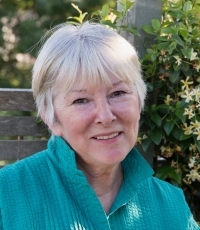 Contributor to several publications including Gardens Illustrated and The English Garden, and author of books including Gardening Women (Virago) and Potted History (Frances Lincoln), and contributing author to The Gardens of England, Treasures of the National Gardens Scheme (Merrell, 2013). Blogs on women in horticulture at www.gardeningwomen.com. Authorised biographer of Beth Chatto. Specialist subject: garden history, women's history.